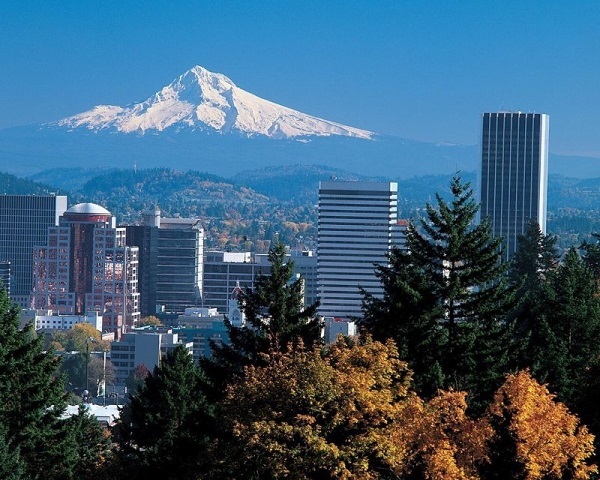 Delta Air Lines began flying from Heathrow to the important business centre of Portland in the US state of Oregon on Friday, opening up a new non-stop destination for British travellers in the Pacific North West. The airline will fly four times a week on Mondays, Wednesdays, Fridays and Saturdays throughout the summer. With this route, Delta now flies non-stop to eight cities in the US from Heathrow. As well as its commercial importance, Portland has plenty to offer for those seeking a summer break with a difference. Here is BTN's round-up of six things you should try not to miss on your first visit. Portland’s street-food scene is claimed to be one of the largest and liveliest in North America with more than 500 food carts available at any given time. While visitors won’t leave hungry, it could be difficult deciding which world cuisine to try first. Most of the food carts are organised into pods and can be found all over the city but Downtown has a particular concentration of options. Find them on SW Adler Street, Pioneer Courthouse Square and SW Stark Street – or, for an insider’s guide, book a tour. With more than 75 at last count, Portland has more independent micro-breweries than any other city in the world, so there’s plenty to sample. The city has earned the nickname “Beervana” thanks to its penchant for the world of ale. If grapes are more to your taste, you can explore a lively urban wine scene or take a wine tour through the rolling hills of the nearby Willamette Valley, home to more than 500 wineries and most famous for producing pinot noir. Forest Park – the largest wilderness park in the U.S. – is within city limits, stretching for more than seven miles down the west side of the Willamette River. As well as hikes and bike trails, there is a calendar of events throughout the year. Landscape-dominating Mount Hood, meanwhile, is a mere 90min east of Portland and offers a wide range of recreational activities. Given Portland’s hippy atmosphere, there are lots of independent boutiques featuring local goods to investigate. If you’re more of a mall enthusiast, head to Washington Square, Oregon’s largest retail outlet, where everything from a branch of the Macy’s department store to an H&M outlet provide plenty of therapy and offer some good prices thanks to Oregon’s tax-free shopping. There’s plenty to discover along Oregon’s dramatic Pacific coastline, from picturesque seaside towns to a surfer’s paradise. Highlights include historic Astoria, home to a booming craft beer scene, and Depoe Bay, where visitors can watch whales on their annual migrations. Known as “The City of Roses”, Portland has greenery at every turn. The Japanese Garden has just had a major extension by the renowned Japanese architect Kengo Kuma and the International Rose Test Garden is celebrating its centenary this year, making it the perfect time to see the 10,000 roses in full bloom.